It's December. In Canada, it's cold. In Argentina, it's hot. Depending on where you live, this time of year can mean many things. Here in New York, the sun sets around 4:30 in the afternoon now. There is a lot more darkness than light these days. But people are adding their own lights to the darkness. All around the city, there are festive, twinkling displays which are lifting spirits. It's a magical time. Creating a festival of light in a time of darkness is what the human spirit is all about. And bringing forth the inner light in each one of us is what Focusing is all about. No matter what your traditions are at this time of year, we hope that it will be a time of love and hope for you. At the International Focusing Institute, we work all year to add our light to yours, so that together we can bring the light of Focusing to our world. We are grateful more than you can know for the connection we have with you. In this special season, we wish all the best for you, your family and all that you cherish. I hope that you had a chance to see my year-end letter last month. At The International Focusing Institute, we have been asking for your donations at the end of each year, and they are very much needed. There is so much going on: the International Leadership Council is actively looking at issues around certification; the Board is always busy with overall strategy and financial concerns; the Membership Committee is finding new ways to connect better with our members.. Please give and help us to end 2016 as strong and healthy financially as we are strong and healthy in spirit. I was chatting with some friends not long ago about the difficult state of the world. They were Europeans and I am American; our countries each have their own troubles, but we shared a sense of grave concern about worldwide political and social trends. One of them said, "I guess we need to have faith," and I spontaneously responded, "No, don't have faith!" They were startled, and so was I. It had been a very spontaneous outburst, so I checked inside for what I meant. "I believe in faith," I explained, "but not as a way of shutting up my doubts." It was something like that. In the moment when my friend said, "Have faith," it struck me that way. It felt like a way of closing our ears to the warning bells that our doubts and fears sound for us. If I am in my home, and a fire alarm goes off, it would be foolish for me to tell myself, "Have faith, there's no fire." I would be much wiser to investigate with urgent curiosity why the alarm is sounding. And if I don't find the answer after searching, I will keep asking, "Why did it go off? Something set it off." I will do everything I can do to understand the source of the alarm. In the same way, if I feel frightened by a situation or uncomfortable, what I have learned from Focusing is that there is some wisdom there; there is some message from inside which wants to be heard. So, if "having faith," means pretending I am not bothered or fearful, then it's not faith at all. That kind of "faith" is really a kind of faithlessness because it does not have faith in the "still, small voice" inside. Of course, there's another way in which we can encourage one another to "have faith." That way is to have faith that each alarm that sounds, or each inner experience does have something valuable to say. This kind of faith is the kind that I seek to foster in myself and others. It is a faith that says that even those parts of my self or my society that seem reprehensible have something valuable to contribute. For those of us in the Northern Hemisphere, this is our darkest time of year. Celebrations of light such as the Hanukkah menorah or the Christmas tree or the Yule log are ways that many of us symbolize that even in the darkness, the light is not extinguished. Perhaps this year, we can have faith that the darkness, too, brings gifts of its own. Perhaps we can have faith in our doubts and fears, our sadnesses and confusions. However you mark the time of the solstice, or however celebrate the end of one year and the beginning of the next, may you have faith in all that is dark and doubtful within and around you. And may we all enjoy the twinkling light just as much (or more!) because we have embraced both. Birrell Walsh is a longtime Focusing practitioner. His novels of Catholic tantra and his poetry can be found at btwreviews.com. and I will rub your wolverine ears. Space of value, space of loss? he came to some peace. This new newsletter section, Writings From the Edge, features submissions by members of the international Focusing community. If you would like to learn more about submission options, contact Scott Will at scott@focusing.org. 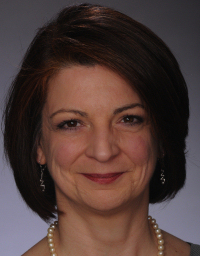 Susan Rudnick joined the Board of Trustees of The International Focusing Institute this year, and will serve until summer 2019. I discovered Focusing around the year 2000, when I was already a seasoned psychotherapist with psychoanalytic training. 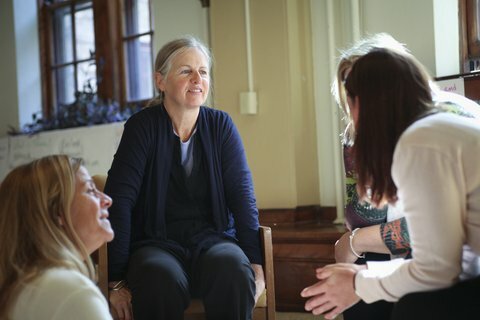 I attended an introductory Focusing-Oriented Therapy (FOT) training session conducted by Mary Hendricks, experienced her exquisite listening, and found myself in tears in five minutes. I was mystified, enthralled and instantly knew I would be signing up to study with her. I became part of her second training group in New York City. Focusing is a keystone in my work as a therapist, as well as my life. My major interest and contribution has been expanding and articulating the ways Focusing can be integrated into therapy work. For the past ten years I was part of the leadership group for FORP (Focusing-Oriented Relational Psychotherapy), led by Lynn Preston. I supervised, taught and ran workshops in that program both in New York and South Africa. A major passion of mine has always been how the therapist can use Focusing as a practice of self care, experiencing how we are in relationship to our clients and for getting a felt sense for what is happening with a client. I facilitated a monthly drop-in peer supervision group and developed a model that became the basis of a study group that I facilitated with Joan Lavender at the last FOT conference. I have also been intimately involved with each of the previous three FOT conferences, either serving on program and hospitality committees, and, for one year, co-convening the entire conference with Joan Klagsbrun. I encourage all therapists to attend the upcoming FOT conference in June 2017. The other keystone in my life and work is zen practice. I currently sit with a sangha in Westchester called Twining Vines. I love to explore the interface between spirituality and Focusing and Psychotherapy. With Ruth Rosenblum I have run workshops on that subject at various FOT events. I have also published a chapter called "Coming Home to Wholeness," in Into The Mountain Stream: Psychotherapy and Buddhist Experience, Jason Aronson, 2007. I am also a haiku poet. I also feel it is important to include the fact that I am the mother of a beautiful 28 year old daughter, and that work has been the most significant life changing process of all. Join us for the Focusing Conversations series, hosted by Serge Prengel! When we work with children and youth, with at-risk populations, in social settings, with clients in therapy, we can see the effects of violence in their lives. In this conversation we explore how to work experientially to find a handle for violence in our own lives, as the first step to prevent and detect situations of violence. We converse about ways to identify violence, first from cognitive concepts, and afterwards from a Focusing and embodied perspective. Once we can name violence, we empower ourselves -transforming violence around us. Who can attend? Are there any prerequisites? The Summer School is open to everyone! Beginners and advanced Focusers are welcome. No prior Focusing experience is required. The program is designed to be an enriching retreat whether you are new to Focusing or have been Focusing for years. Please click here to read about last year's Summer School program - this will give you an idea of the general format of the program. The TIFI Membership Committee is pleased to continue this new series of Focusing Roundtables especially for members of the Institute. We hope that this program and those to come will afford members a valuable opportunity to engage in casual peer-to-peer conversation with other members who share Focusing-related interests. Who should attend? Members who have experience, curiosity, or interest in the topic. 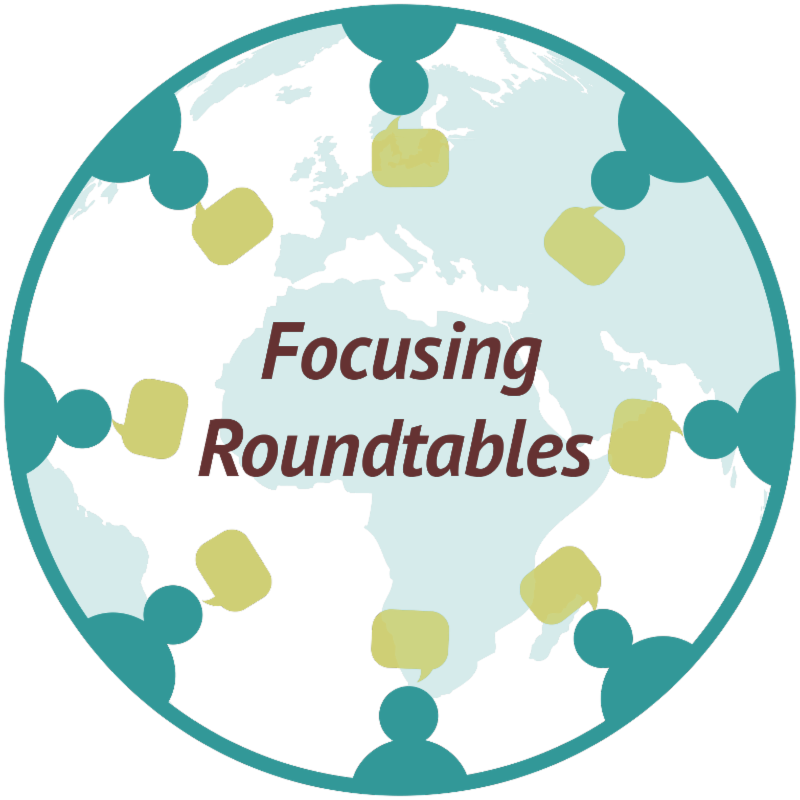 Each Focusing Roundtable is designed to promote informal peer-to-peer conversation. Rather than acting as expert presenters, the Hosts will serve as conversation moderators to encourage sharing and exploration of the topics from the participants' own perspectives. All participants' sharings are welcome and valuable, no matter what level of experience or knowledge you have on the topic. To preserve the nature of informal conversation, the program will be offered live only and no recordings will be available. Registration is limited to 20 members on a first-come, first served basis. Participants are encouraged to create follow up opportunities for connection among themselves after the Roundtable. What draws you to TAE? What are your exciting/astonishing/inspiring experiences with TAE? How has TAE changed your thinking? Your Focusing? Your everyday living? What elements (steps) of TAE are your favorites? Which do you struggle with? Is TAE for intellectuals only or is there a "lighter" way of learning and practicing it? If these or related questions intrigue you, we hope you will join us for this Roundtable. Bring your own experiences, questions and curiosity. The Weeklong (now 5 nights) celebrates the diversity in the Focusing world by holding a space where Coordinators, advanced Focusers and newly Certified Focusing Professionals all come together to deepen and celebrate their Focusing practice. The first Weeklong was held in 1979 in Chicago, IL. At that time, the Weeklong was a requirement for certification. While attendance is not required for certification today, we carry on the tradition of honoring those newly certified in a beautiful certification ceremony. Read the report below on the 2016 Weeklong, as well as the article by Weeklong participant Mary Armstrong. 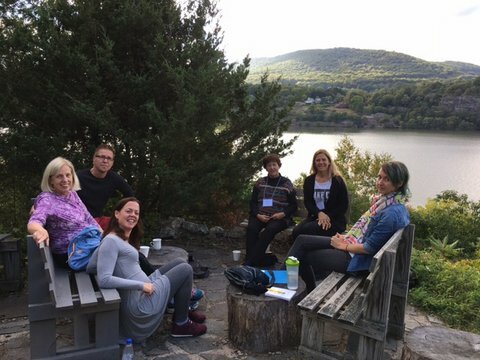 Coordinators - come with your students to personally award their certificate OR come on your own to connect with the larger community and enliven your Focusing practice in a deep and meaningful retreat week. Advanced Focusers - any Focuser with advanced skills is welcome - each year people attend to further their learning and to cross and connect with Focusers worldwide. Newly Certified Focusing Professionals (or almost ready) - whether you are certified as a Trainer, FOT or Certified Focusing Professional you are welcome! Meet and learn from others around the world. A deeper understanding of your special place in the ongoing evolution of Focusing and the worldwide Focusing community. Deep and life-long connections to Focusers from around the world who share your passion and interests and can offer you continuing support and contact as you take your next steps. Practical skills to help you to deepen your Focusing practice, professionally and personally. We organize what has already been done so that people have access to it. We support a thriving philosophical community centered around the Philosophy of the Implicit. I'd just returned from the Focusing Weeklong at The Garrison Institute on the Hudson River and I was really grouchy. Why? I had this big empty place in my lower body, a queasy, uneasy felt sense. I didn't even have to close my eyes and ask it what it was all about. I was missing the closeness and caring of the group that came together from Canada, the USA, the Netherlands, Mexico, Argentina, Mexico, Italy and Chile to support and care for one another for a whole week. I'd had this felt sense before. In the early 80's, about 35 years ago, I attended the first ever Focusing Weeklong at The Villa Redeemer Roman Catholic Retreat Centre outside Chicago. There were six of us, all women, and we got very close to one another. Mary McGuire led the retreat. Gene Gendlin came every afternoon to work with us. It was absolutely transformational. My life was never the same after. Now comes the sad part. Once I returned to Toronto I mourned the loss of those other women. It was that felt sense that motivated me to create a community of Focusers in Toronto where I lived. Even that long ago, I knew: The very existence of bad feelings within you is evidence that your body knows what is wrong and what is right. It must know what it would be like to feel perfect, or it could not evoke a sense of wrong (Focusing, p. 76.) The felt sense lead me forward into a more right way of being. It led me to many years of teaching this life skill to those who came to my classes and who trained toward certification. 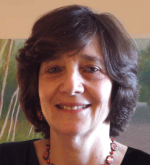 Jan Winhall, one of the three leaders of the 2016 weeklong, came to my Focusing centre as a student and later was certified by Dr. Gendlin as a Focusing Professional. She is now the director of her own Focusing centre, Focusing on Borden in Toronto. Jan has a rich programme ranging from basic training in Focusing to specialized groups for women and for those struggling with addictions. She is an expert on teaching people, through Focusing, to go from physical/emotional dysregulation to self regulation. You can imagine the pride I feel in witnessing Jan grow this beautiful garden of healing in Toronto. Many of the participants in this year's Weeklong were there to be certified. A Timeline stretched along the wooden floor of the auditorium, marking the highlights in Focusing over the years. For me, it was a rich trip back memory lane. So many of these events had been central to my own life. Walking along the paper trail I relived those exciting first days in my own life as I entered this grounded way of being in the world. I'm no longer teaching and using Focusing professionally. I'm at the stage of my life where sharing what I've learned with others is central to my purpose. So you can imagine how moving it was for me to witness all these younger men and women receiving their certificates as Certified Focusing Professionals. They are about to embark on their separate journeys as Focusing teachers and Focusing-Oriented Psychotherapists. Their careers will be shaped by all that has gone before in developing and teaching others Focusing's way of accessing our deeper wisdom through the body's awareness. Weeklong 2016: "The best ever!" "My inner sun started to shine" - this was a comment from one of the participants about the 2016 Weeklong. We have experienced lots of light. The Weeklong is a typical place to let your inner sun shine, whoever you are, wherever you are from, whatever Focusing approach you are familiar with. By connecting and crossing we create in each of us what none of us was before, as Gene Gendlin says. And it is what happened. Participants said this Weeklong was: pure happiness, deep learning, expanding my world, healing, healing, healing, implementing, energy giving, heavy jeweled, rich, full, a big adventure and a wonderful experience. The 2016 Weeklong had been prepared and facilitated by Jan Winhall (Canada), Jeffrey Morrison (USA) and myself, Aaffien de Vries (The Netherlands). We had assistance from three contributing coordinators Edgardo Riveras (Chili), Emanuela Fonticolli (Italy) and Monica Iturraspe (Argentina). There were 25 participants from Italy, Chili, Argentina, USA, the Netherlands, and Canada. We missed people from Asia, but they are very busy with their regional developments! Once again it has been possible to give some (one full and a few partly) scholarships from the Janet Klein Fund. As it says in the name, the Weeklong is all about Connecting and Crossing. Connecting with Focusers from different parts of the world and people from different Focusing "schools." In a skit, we showed something about misunderstanding and disagreement around different focusing styles. Hilarious and (very!) familiar! Fortunately we also have experienced how we can benefit from diversity. It is also about connecting across languages. We have experienced how intimate and how beneficial Focusing in a cross-cultural partnership can be, even when you don't understand somebody's else language. "I made a great friend with my partner" said one of the participants afterwards. In the Crossing of knowledge and experience, we grow and learn. We offered workshops around different Focusing styles and how people use them. There where workshops around Classic Six Steps, Inner Relationship Focusing, Bio-Spirituality and Interactive Focusing. It does not need to be one or the other, everybody can make his or her mix and benefit from everything that is developed and add something of their own. "I learned new ways, fun ways of bringing Focusing into the world. That is what I wanted!" The three facilitators shared from their experience and specialization in three morning workshops. Presentations alternated with experiential opportunities. 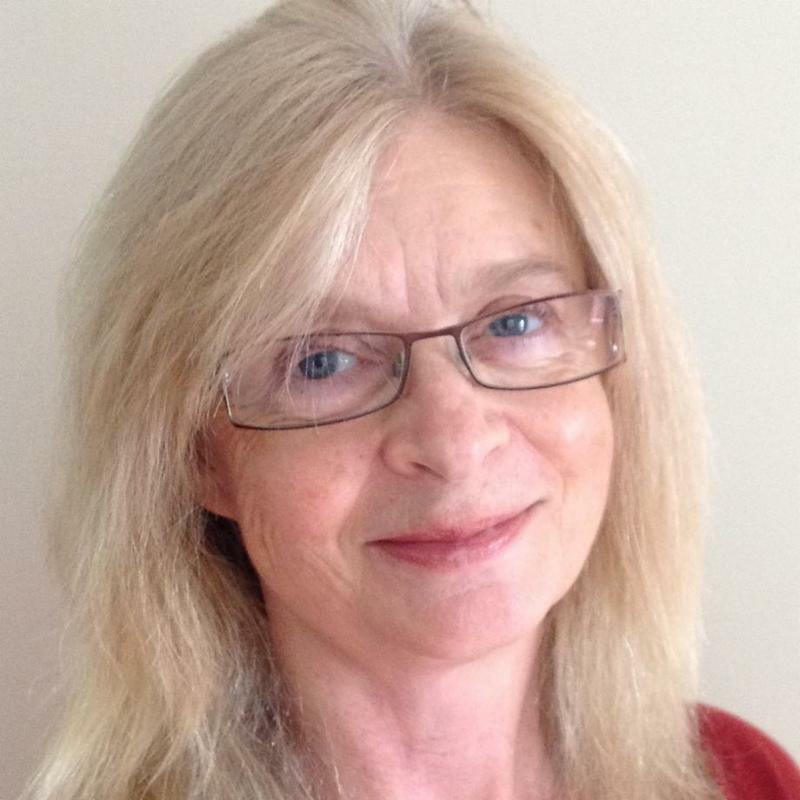 Jan Winhall presented a workshop around addiction. Her approach is to see addiction as a form of process skipping and a way to regulate emotions. She emphasizes the importance of finding a grounded starting place for processing. Jeffrey Morrison offered a program around trauma and the gifts that coping mechanism can bring by revealing our uniqueness. Aaffien de Vries led the participants through a journey to understand and recognize obedience patterns and find the healing and new life behind these patterns. In the afternoon, participants met in home groups to work on a professional or personal project or to rest and digest in personal Focusing sessions. These groups were led by the contributing coordinators. We offered Open Space where contributing coordinators and participants could share from their experience and knowledge. It brought rich exchanges, learnings and experiences. There were presentations around children and Focusing, Focusing and constellation work, Focusing and decisionmaking, and making an attractive Focusing website. On the day of the certification ceremony, we made a program to foster the awareness and understanding of the rich history of Focusing and the Philosophy of the Implicit. Catherine Torpey led us thorough the timeline of Focusing from the very beginning. Mary Armstrong and Edgardo Riveros, who have been involved for a long, long time, were invited to walk with her and share from their experience. 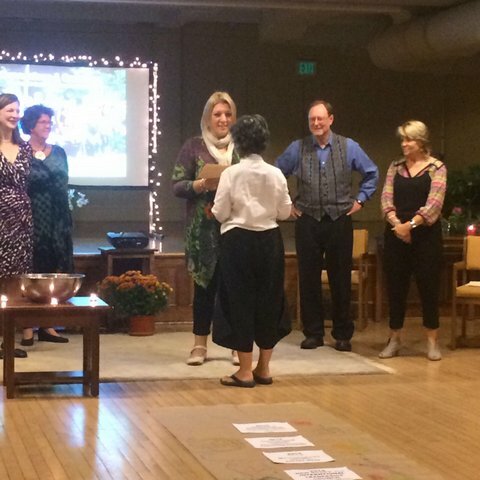 Afterwards all participants were invited to take place in the timeline, to honor their teachers and to find their own way of bringing Focusing into the world. To get a glimpse of the philosophy in which focusing is embedded we did some philosophical practice by reading the first page of chapter 8 of A Process Model. In this chapter Gendlin describes the experience of dancer Isadora Duncan standing still and taking all the time needed to let the dance come from inside. We have felt how important it is to go slow, slow, slow and to read experientially, to take the words in and feel what they mean, instead of just thinking about them. This experiential approach was highly appreciated: "Experiential and bodily priority over the theory, according to the Focusing Process." To our great joy, Gene Gendlin was able to have a phone call with us. Many people shared their gratefulness for Focusing and Gene's work. To one of the participants who did not know what to say, Gene said: "nothing needs to be said." We all could feel the wonderful silence that followed. It was a valuable and moving encounter, "a big present to myself and others." Although the Weeklong is primarily intended for certification of new Focusing trainers, once again it has proven to be an inspiring, instructive, re-enliving, and fruitful event for every experienced Focuser. Some came for the first time for their certification. 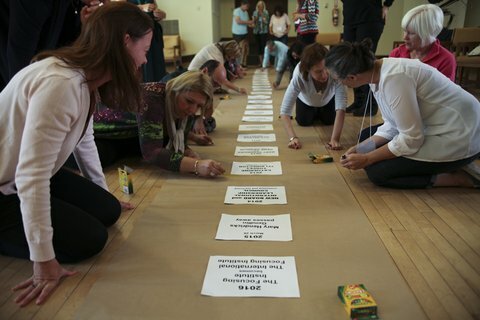 Others came to "get re-energized and reconnected," to "swim in an ocean of felt-sensing," to "share and show Focusing experiences," to "feel part of a greater Focusing community," to "deepen Focusing experiences" or to "practice a Focusing way of living." I have been part of the facilitation team for four years. After every Weeklong the team would come to the conclusion that "this Weeklong was the best ever." During the closing ceremony I knew "this 2016 Weeklong has been the best ever." Slowly I came to the realization this does not mean it was better than it was last year. It means it was the best we could get from connecting and crossing the uniqueness of the participants and the team at this unique place and time. It brought us, in the words of one of the participants, "love, learning and connection, also fun, play, humor." It has been a big honor and a big pleasure to be part of the facilitation team of the Weeklong and to have the opportunity to bring my vision of a Focusing encounter to realization. It is all built on the work of all the former Weeklong teachers, and especially on the Living Weeklong Vision as initiated and presented by Doralee Grindler Katonah (fore(wo)man of the Crossing Support Group) in Asilomar in 2011. I feel grateful for the cooperation in the teams with Shaun Philips, Suzanne Noel, Eunsun Joo, Tomeu Barcelo, Jan Winhall and Jeffrey Morrison. Edgardo Riveros, who has been involved in Focusing for years and years and years will replace me in the facilitation team. It is my wish the new team next year will have their best Weeklong ever! 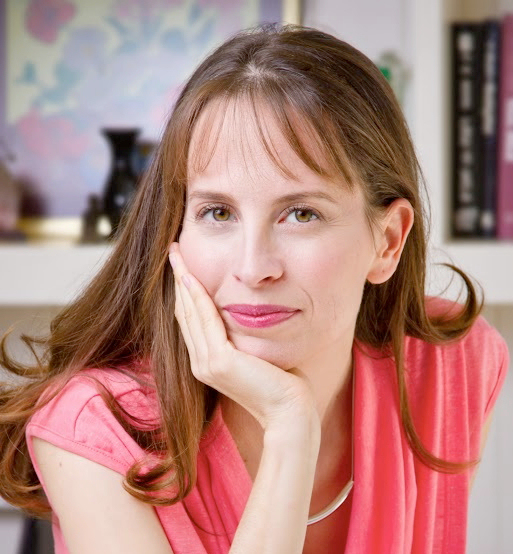 A live, interactive online course with Sally Tadmor. Two sections - starting January 2017. Focusing Basics An 8-week interactive online course for beginning Focusers starting January 17, 2017. Advanced Focusing Training An 8-week intermediate interactive online course starting January 18, 2017. Part of The Focusing Highlights Series pay-what-you-can classes. Interactive Online Class facilitated by Jane Quayle Saturday on January 21, 2017 (Sunday morning in Australia). Part of a new series for TIFI members, this free online conversation is hosted by Heinke Deloch with Co-Hosts, Francesca Castaldi, Hanspeter Mühlethaler, and Wendi Maurer on Tuesday, January 24, 2017. June 22-25, 2017 at The Garrison Institute, Garrison NY. August 14-19th, 2017 at the Garrison Institute in Garrison, New York. 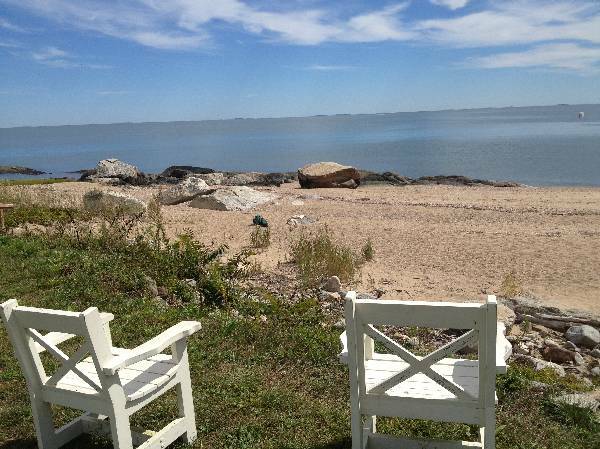 October 15-20, 2017 (now 5 nights) at Mercy by the Sea in Madison, Connecticut - 2 hours north of New York City. 12/2016 Research. New section on dissertations and theses. 12/2016 Kugel, A. K. (2010). An Inner Relationship Focusing Approach to Transforming the Inner Critic (Abstract). A PsyD Clinical Dissertation Presented to the Faculty of the California School of Professional Psychology at Alliant International University San Diego. 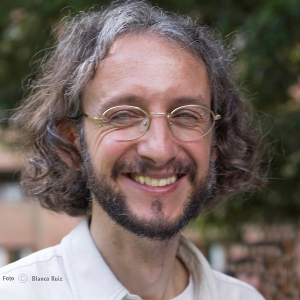 11/2016 The November conversation is with Javier Romeo-Biedma. The topic is "How to work experientially with violence." This is part of the "conversations" series hosted by Serge Prengel which you can access from the "Felt Community" menu or from www.focusing.org/conversations. 11/2016 Conversation with Barbara Dickinson and Serge Prengel on creative interaction and listening on LifeSherpa. 10/2016 "Interview with Gene on his Jewishness." Interviewed by Ruth Rosenblum and Lynn Preston. October 2016. Have you considered remembering the Institute in your will? Leaving a bequest can be a way to continue to promote Focusing well into the future. Please contact us if you are willing to do this or have done so already. Thank you!